With the death of the Great King of Hyrule, and no prince to succeed him, Princess Zelda, only 19, is left to become the Queen in due time. With her coronation drawing near, she has a vision of a great darkness coming and washing over the world of Hyrule, as well as the neighboring kingdoms of Labrynna and Holodrum. While it is only a mere myth now that the hero of legends comes when evil rises, the princess is determined to find where he may be. As she tries to comfort her people and assure them that their hero will come, many do not believe her, for none have lived in a time where a hero was ever needed. Because of this, many are gathering to create their own forces to face the evil themselves. Where will you be when evil stands at the border of our world? Will you fight against them? Or join them? 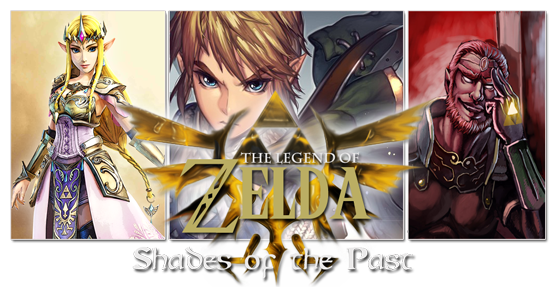 LOZSOP is a Legend of Zelda free forum RPG. It is NOT a retelling. We encourage the creation of original characters!